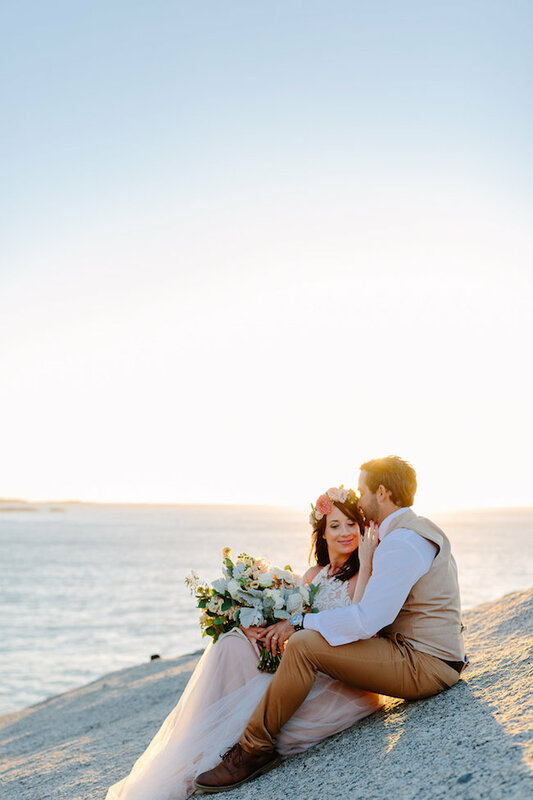 What could be more romantic than a couple shoot during a picturesque sunset at Signal Hill and Llandudno beach? 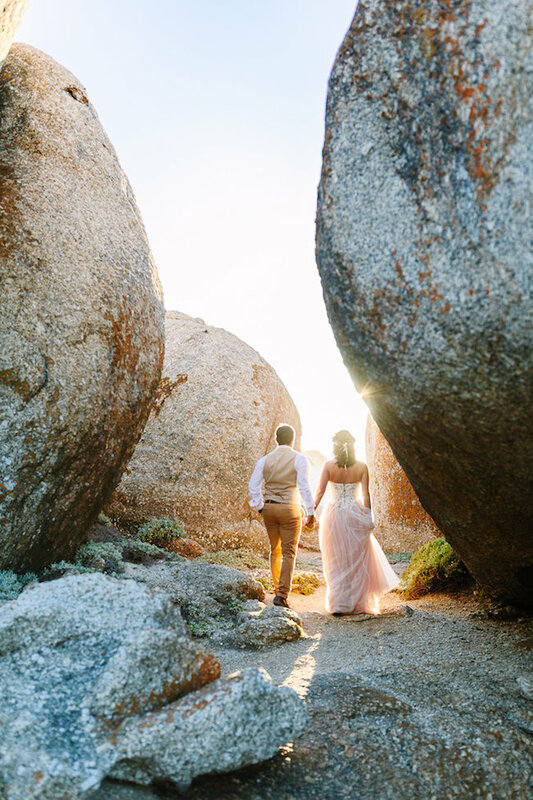 The breathtaking natural beauty of Signal Hill and nearby Llandudno beach are what makes these two iconic Cape Town locations so popular for couple photoshoots. 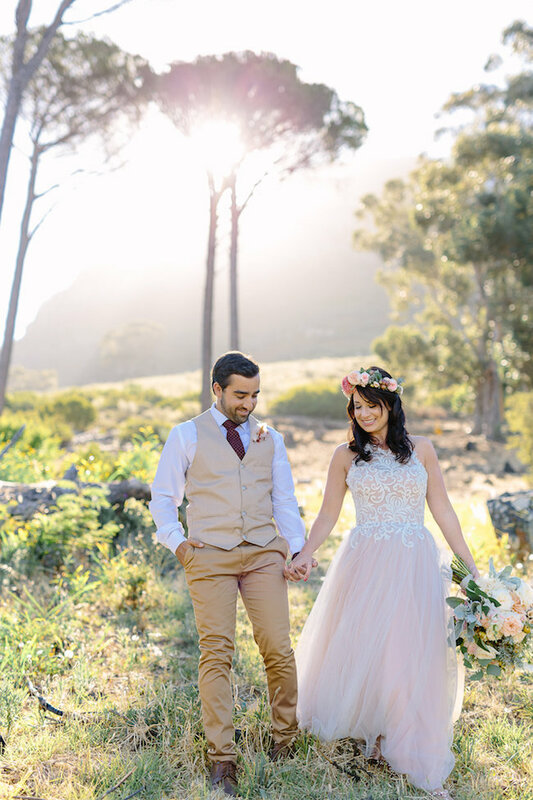 The idyllic greenery of Signal Hill creates an unforgettable backdrop, and is what made it the perfect location for newlywed’s Alte-Mare and Jean’s Cape Town couple shoot. 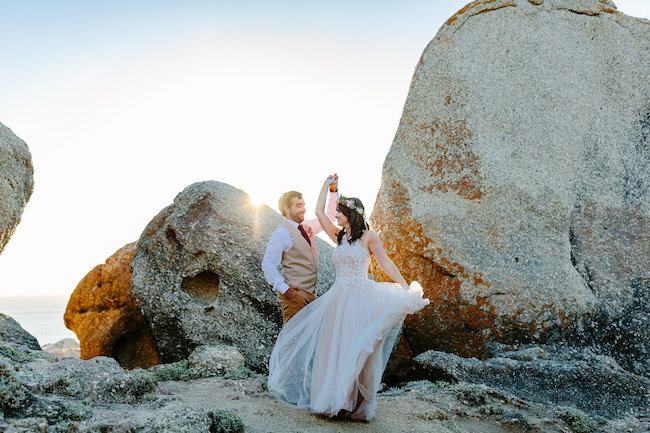 Located just a short drive away from Llandudno beach, the location was easy an choice for this pair of nature lovers who had also become engaged at the beach a few years prior. 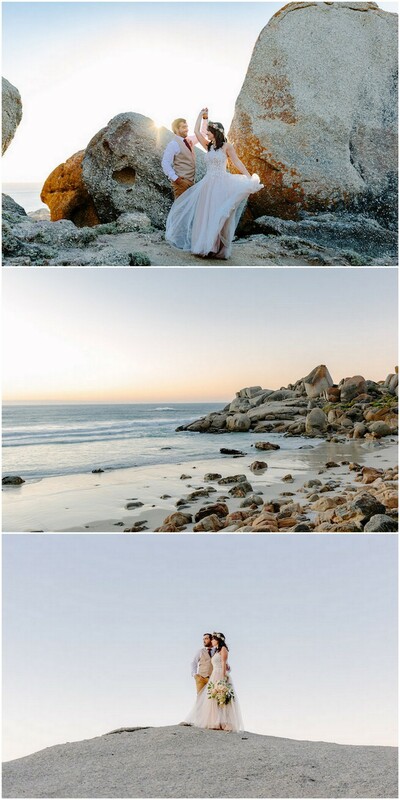 For their Signal Hill + Llandudno beach couple photoshoot the pair contacted German-based photographers Daniel and Hanna. They were in Cape Town at the time and keen collaborate. 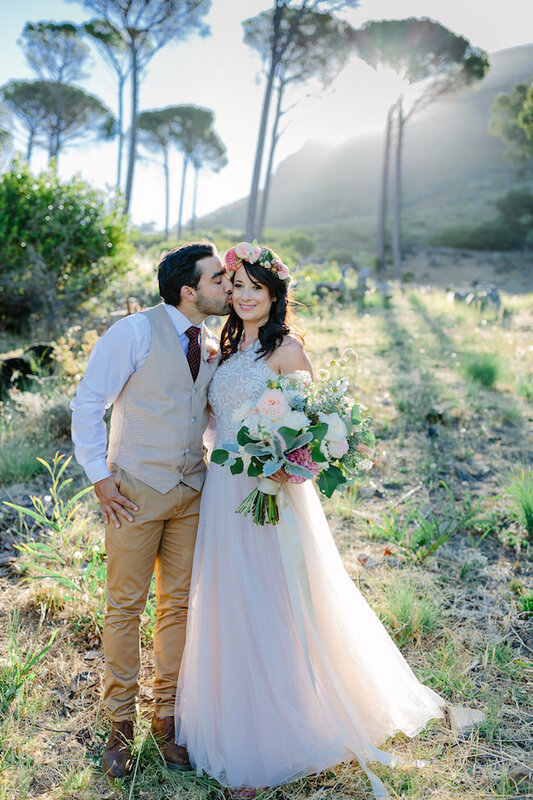 Together they brought to life a vision of pure Capetonian beauty, set in a subtle palette of blush and peach, with soft, organic greenery. 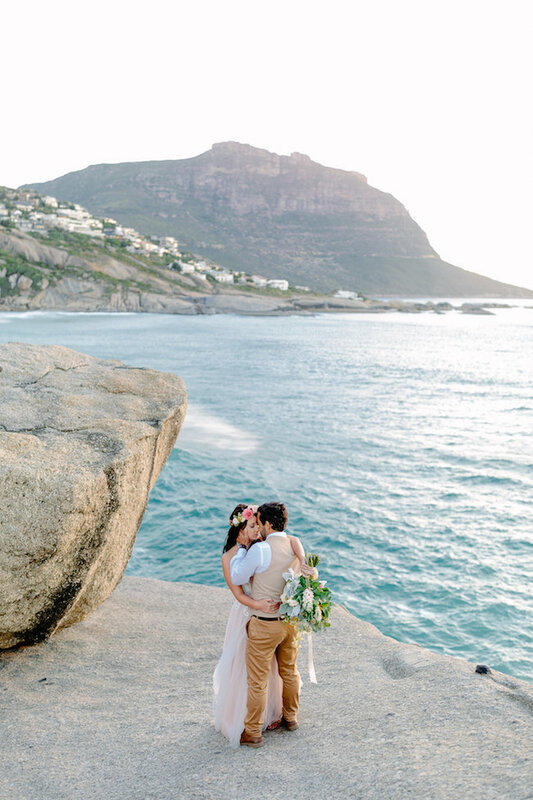 The idea was to keep the shoot simplistic, allowing the magnificence of Signal Hill, as well as earthy elements such as the shore lines of Cape Town, to be brought to the fore. 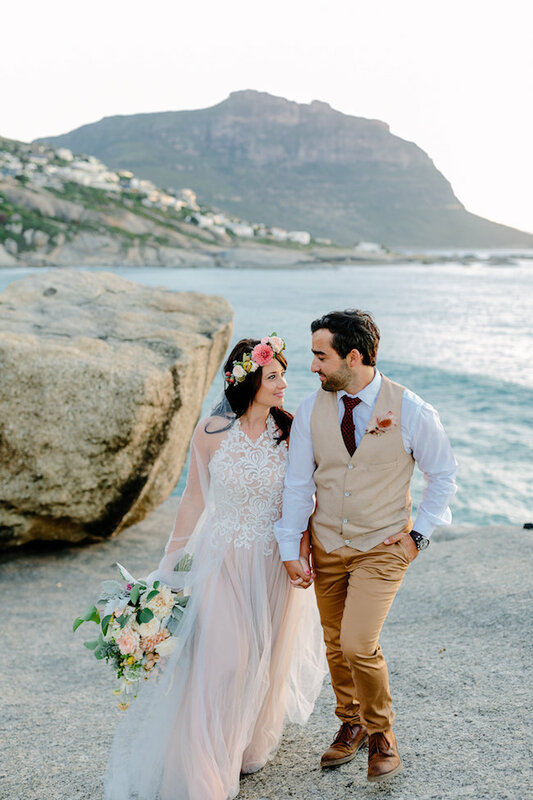 Alte-Mare’s soft blush dress, designed by Alana Van Heerden, was complemented by a romantic flower crown and bouquet designed by Anli Wahl. Alte-Mare’s hair was styled in loose waves with natural make-up by Almari to complete the look. Bring comfortable shoes in which you can walk. Flat sandals are a great fit. Arrive about 2 hours before sunset to get the most beautiful light. 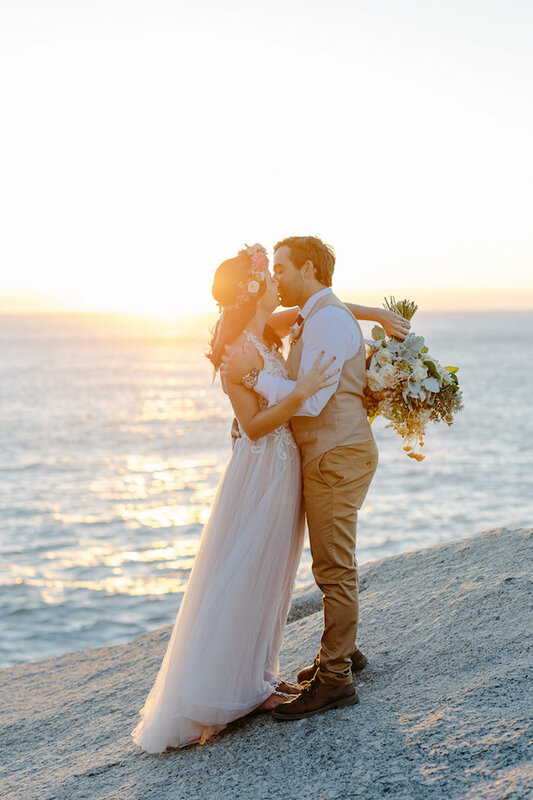 Consider the length of your gown or dress – it’s easy to get snagged on something in the woods, so be careful. Scout out a spot with the least possible tourists – the popular location can become quite crowded at sunset. 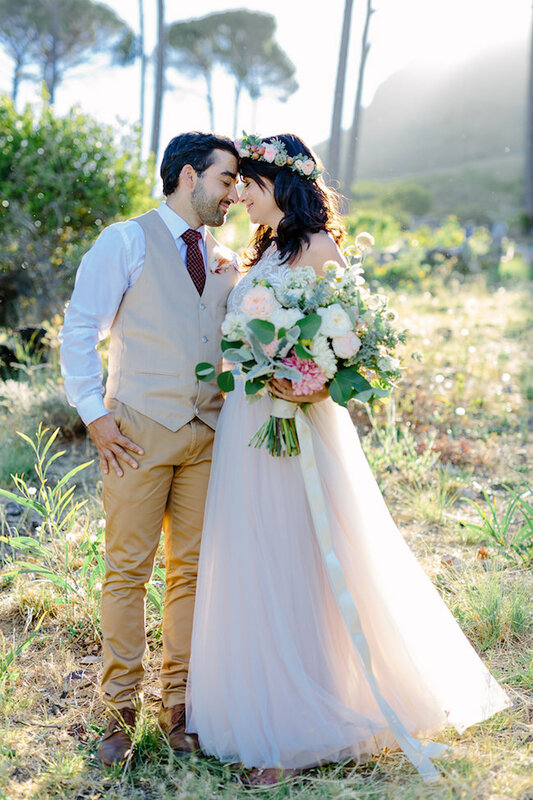 For clothing and floral pieces choose colours that you will still love 5 years from now. Keep it simple and timeless. 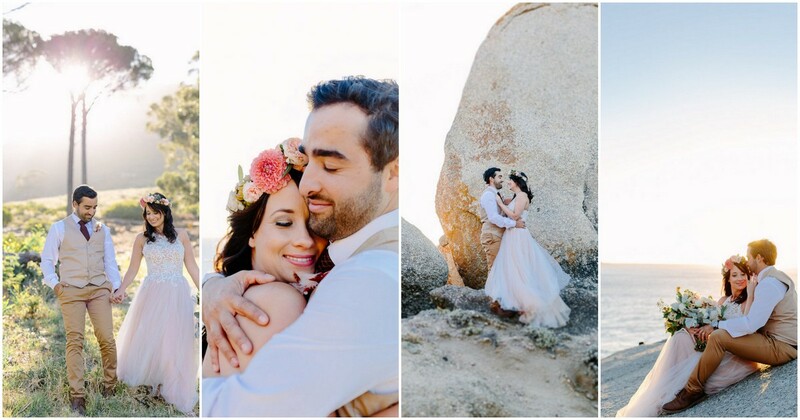 Love Story: Although I first noticed Jean at a wedding in 2004, we actually only officially met in 2006 when we bumped into each other at the beach. In was a few years later, in February 2012 when fate had it that we would bump into each other once again. This time, we recognized each other instantly. We ended up dancing the night away, and the rest is history! Proposal: We holidayed in Pearly Beach during December of 2015. Jean played golf the morning, asking me to pick him up for a picnic afterward. We were each to pick three snacks which we thought the other would love, without revealing our choices. At sunset went to a beautiful spot during sunset, and settled between the rocks. There we blindfolded each other, guessing what type of snacks had been selected. Unfortunately, because I was not expecting a proposal, instead of delectable tidbits, I playfully picked the strangest food I could. Needless to say it was not the most romantic choice of treats! However, all was not lost. Jean waited a while, and eventually asked me to close my eyes again. When I opened them he was down on one knee. I was shocked, surprised, happy and could not have asked for a more perfect moment! « 22 Engagement Party Invitations to ‘Say Yes’ to!